A seamless blend into the hospital system is key. Healthcare facilities are challenging for pest control because they have living quarters, food preparation and service areas, as well as retail space, including flower shops, laundry and common areas. They also have a strict need for pest control without airborne pesticides in patient areas and operating rooms. Professionals in this industry need pest control that is responsive and effective from a provider who can blend seamlessly into the facility’s in-house team. Healthcare facilities look for a pest control provider to anticipate and prevent problems – focusing on prevention rather than a cure. They view the hospital’s patients, medical personnel and staff as their customers, and they want their provider to work with the in-house team to keep the customers satisfied. 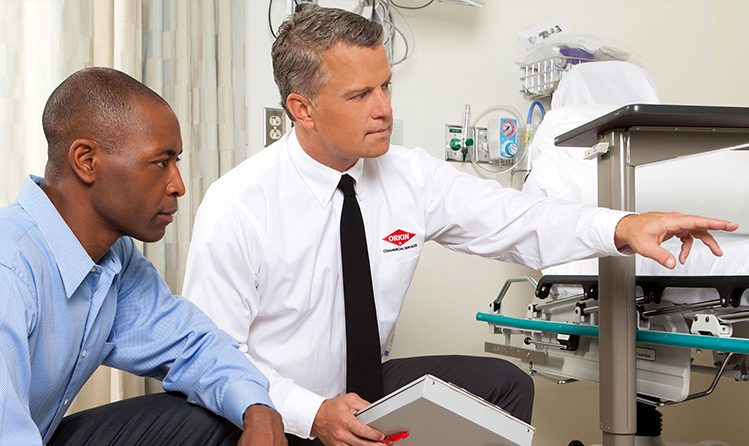 Orkin Chile’s healthcare solutions starts with a comprehensive, on-site inspection and delivers solutions to specifically address the unique pest management needs of healthcare environments.